I'm so in love with this cover! Can't wait! I LOVE the cover for this, it's just so sweet and romantic <3 I actually haven't seen the movie, Tristan and Isolde yet (I know, I know.. James Franco - HELLO!) but I want to before I read this. Super excited for October, this sounds fantastyic! Cute cover. I hope that when you get it, it will be everything you hope it to be. 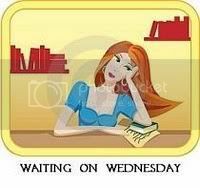 Wanna see what I am Waiting on Wednesday for? Check it out. I've seen this cover around a lot lately but I'm not sure why I haven't looked it up yet. This sounds like a great book and it's definitely going onto my TBR list. Thanks for sharing this. I have always loved the story of Tristan and Isolde, so of course I was also so excited to hear about this book coming out. Very pretty cover, and sounds like something I would like to read. I love the story of Tristan and Isolde, and a modern retelling well, it was about time, in my opinion. I also really like the cover of this one. I have this one on my wish list too. Cannot wait to see if the story is a great as the cover. I've got this on my TBR list. It does sound fantastic. I've read Tristan and Isolde for college and I really liked it ..It is such an epic and tragic love story .. I look forward to read this one too !! Great pick !! We have the same pick this week. I've never heard of the original, but it sounds interesting. I so love this cover. There are so many fantastic books coming out this year. I can't believe we have to wait all the way until October for this one. It feels like an eternity!! Already got this one on my wishlist - it sounds awesome. If only October weren't so far away. Seen this one before! Sounds kind of interesting, just not sure if I'll read it straight away. Might wait for some reviews! This cover is stunning. I have this one on my TBR list as well. I love the original Tristan and Isolde story so I am excited for this retelling. This sounds great! The cover makes the book sound even better! That cover is to-die-for! I've been seeing this book on everyone's WoW. It does sounds totally amazing ;) Awesome pick! I CANNOT wait for this one, I love this story and can't wait to see what this retelling will be like. 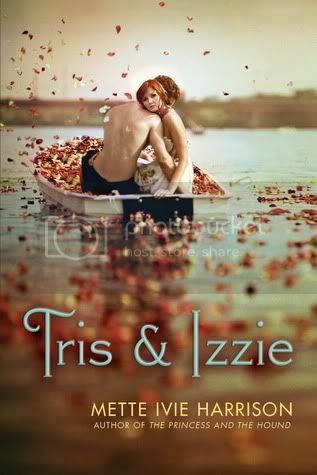 I adore this cover too, so gorgeous! I never heard of the German legend before but it sounds really interesting! The cover is absolutely beautiful. I'll be adding it to my TBR list! I just put this book on 'On My Wishlist' last week! I can't wait, and that cover is just gorgeous! This sounds awesome and I'm digging the cover. Hope you get it soon. I've seen this picked a couple of times, it is totally beautiful! I love the story it's based on too. Great pick. The cover is great for this one. Too bad it doesn't come out until October! Great pick though. Thanks for stopping by my blog. Sounds like a great take on Tristan and Isolde. And such a pretty cover too. What an awesome cover! Have you seen the Tristan and Isolde movie? It's REALLY good! That is a fabulous cover. Thanks for sharing! Great cover and choice, come by and see mine. I am so excited for this one. I am loving the concept of re-telling Tristan and Isolde. Great pick! What a great cover! And I'm with Linsda @ VioletHour - it was a fab movie. Already added to my TBR list. :D I miss a good old love story!<3 And the cover is stunning indeed! Can't wait for it! Thanks for stopping by. If you would like an account based on the original tale of Tristan & Isolde, you might try The Romance of Tristan and Iseult by Joseph Bedier. A good fiction series is Rosalind Miles' Tristan & Isolde series. There are three of those and I absolutely loved them. Cheers! This books looks amazing! Def going on my wishlist! I can't wait for this either! I love modern retellings of old stories. Great choice! his one sounds so interesting. I'm loving that it's a retelling of an old German legend. I hope this one is good! l also love the sound of this and how amazing is the cover?! This one does sound sooo good! And I love the cover too! I don't know if I can add this to my TBR books. Isn't Tristan and Isolde a tragedy? I'll have to wait and be sure no one dies at the end before I'm willing to risk my anxiety level on this one. Thank you for stopping by my WoW! I've not read Tristan and Isolde before, but this may be one version I will read! Thanks for stopping by my blog. New follower. There is nothing I love more than a good love story. Definitely going to add this to my TBR list. Me, too! Isn't that cover just spectacular! This looks like a really good one! Nice pick! THis book is also at the top of my list. I hope it is wonderful! Right now I am waiting on Chronicles of Nick: Invincible. Not so much the book but the time to read it. In my mind I was telling myself to hurry up and finish the book I am currently reading. I had to yell at myself because the book that is being read deserves my attention as well. I might have to check this out! Thanks for checking out my post and commenting! me too me too me too!! i can't wait!! This cover is so breathtaking! I really can't wait to read this book as well!. . . WOW! that COVER! Thank you for stopping by our blog! Yeah, this is going on my list. The cover is sooooo pretty! I have this one on my wishlist too because I love the cover. I hope the story is just as good! Love the cover for this one! I love a good retelling, and this one sounds spectacular. Such a beautiful cover! I have always loved this story ... hope this version lives up to the original. Thanks for stopping by my blog!